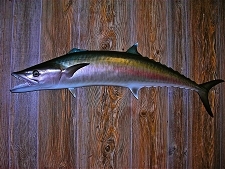 Welcome to Gulf State Taxidermy and Wildlife Artistry, I appreciate your visit. I specialize in all game. Each mount receives my personal attention and I take pride in producing competition quality mounts in every specimen. My shop is perfectly situated in between North and Central Louisiana and is convenient to Monroe, Shreveport and Alexandria/Pineville. I use the highest quality materials and latest techniques available to ensure quality mounts that will last a lifetime. I look forward to serving you and appreciate the opportunity to bring your game back to life. 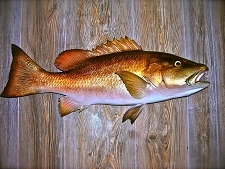 Brendan “Bubba” Botts is a Louisiana native and taxidermist since 1999. He was raised on a farm in Iberia Parish where his grandfather taught him not only the value of hard work but inspired a lifelong love of the outdoors. Taxidermy was a lifelong dream born in the marshes swamps of south Louisiana. His diverse experiences have allowed him to fish and pursue game on several continents. In 1999 Bubba began his career by tanning a small rabbit skin. This was soon followed by a whitetail harvested in Texas. An avid outdoorsman, before taking any work from customers he honed and perfected his technique on animals he personally harvested. He studied photographs from game cameras and of fish he personally caught to provide the intricate lifelike details incorporated into his mounts. Bubba’s portfolio includes African game, North and Central American game including Bison, Elk, Whitetail deer, Mule deer and Ram, Fresh and Salt water fish including replicas. His work has won several awards and has been published in multiple periodical publications. His work is of the utmost quality and animals are always returned in a reasonable amount of time. 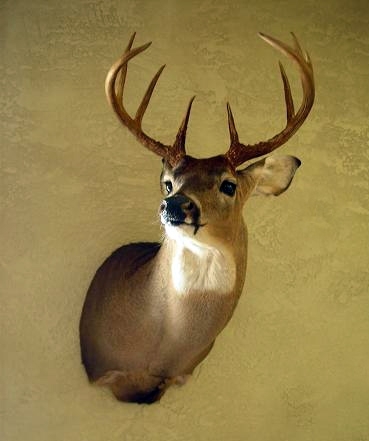 Gulf State Taxidermy is the premier choice for fish and game head taxidermy in Louisiana and around the world. Ashley Zettlemoyer is a taxidermist from the mountain state of West Virginia. Her outdoorsman nature was instilled in her by her father at a young age, learning to fish when she was just 4, sparked a lifelong passion. She learned to fish, hunt and trap with her father. She started working as a shop hand and slowly made her way up the ladder. Upon seeking further information in her field stumbled across Brendan Botts a Louisiana taxidermist. It was a match made in heaven. After a short while the pair decided to partner up. She packed her bags and left her home to pursue both her loves. Since then she has significantly advanced onto the competition scene in 2014 at the Louisiana taxidermy convention, Leaving with two first place ribbons and the prestigious Walnut Creek award for her custom built habitat. There is no mount too big or small for this little lady. She cares about each and every mount that comes through those shop doors. She has an eye for detail that ensures quality. Gulf State Taxidermy will serve all your taxidermy needs. We are a full time full service shop with over 20 years combined experience in wildlife artistry. 2014 Walnut Creek Award for best habitat. 2017 first place masters division fish.